Haverton Hill (St, John's) Churchyard contains five burials from the First World War and four from the Second World War. One of the First World War burials is a soldier from the Yorkshire Regiment. 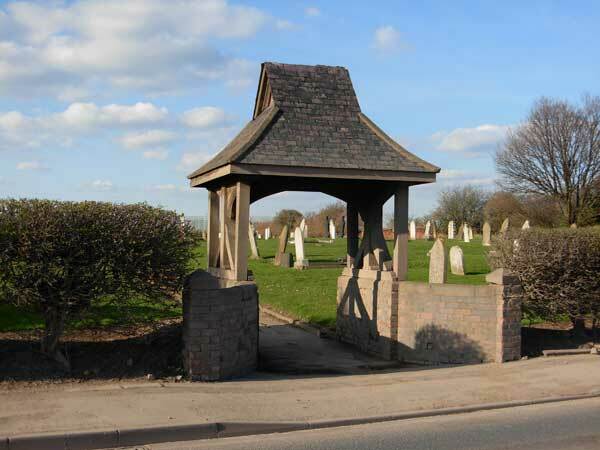 Although a church used to stand here, only the churchyard with the lych gate entrance remains. Rayl Wilkins (<e2ray3636@ntlworld.com> has provided the photos of William Hanna's grave and of the lych gate that is the entrance to the churchyard. Select the above image for a larger sized version. that opens to return to this page. 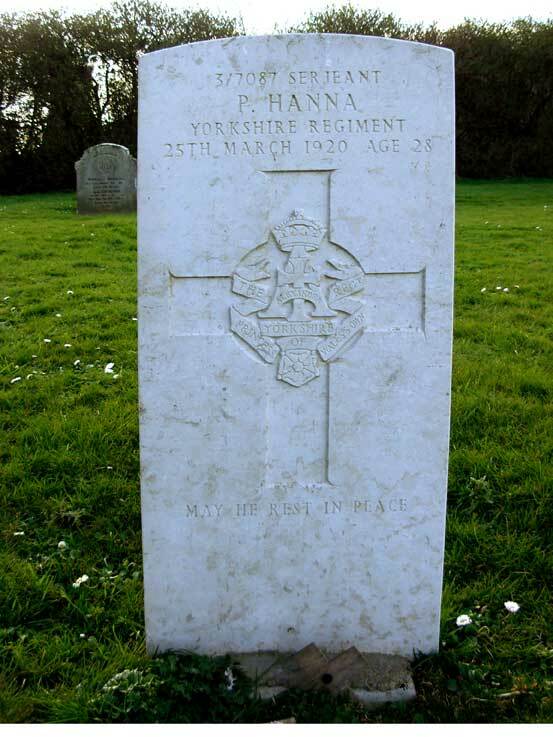 Serjeant Patrick Hanna, 3/7087. 3rd Battalion Yorkshire Regiment. Son of James and Alice Hanna, of Port Clarence. Three times previously wounded. Died at home 25 March 1920. Aged 28. (brother of Private John Hannah, 9th Battalion. Killed 8 August 1916. Aged 30).